The amount of mail I send and receive is far greater than the bits and pieces I have time to photograph for my blog, but some projects I can't help but snap before they're destined for far away places. 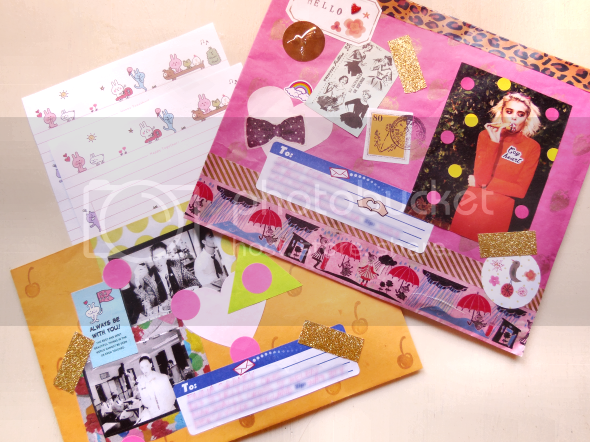 These recent letters to Emma (England) and Michelle (Australia) were two that I had a lot of fun putting together. 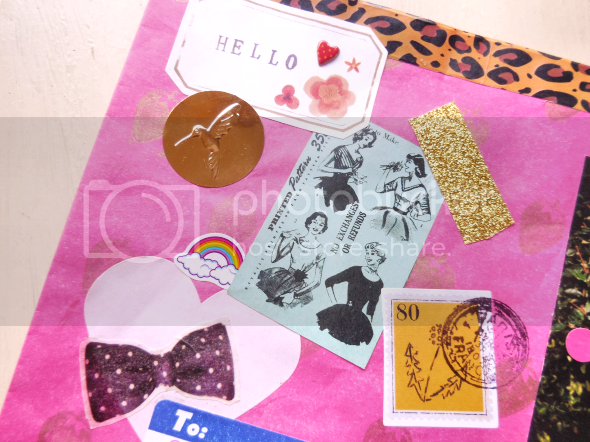 I love Sky Ferreria's music and style, hence her adorning of the pink envelope I designed to be included in Michelle's forthcoming book about snail mail! 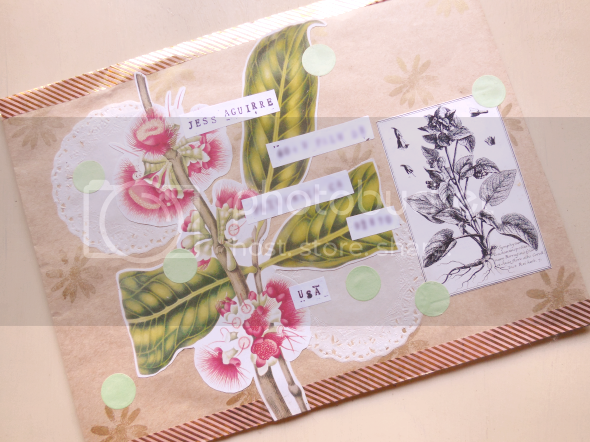 I've been harvesting various books for botanical illustrations like these on an envelope for Jess. Even the notoriously grumpy lady at my post office liked this one. 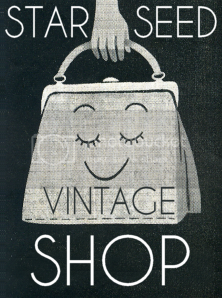 I was very happy to get my hands on some of these vintage stamp packs from Jaime. 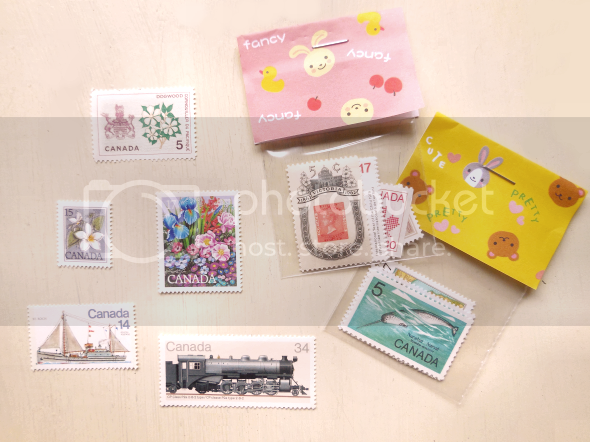 Each one contains enough postage to send a letter within Canada. How sweet is this idea?! Another of my recent finds was this book of postcards featuring Yoshitomo Nara's illustrations from Value Village (giant thrift store) of all places. 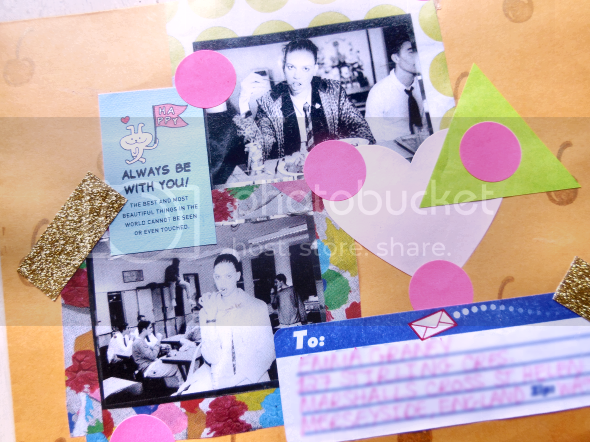 If you're on my pen pal list, expect to receive one of these soon. I love these! You put so much effort into them, they're so pretty. So I was interested in your sooo pretty BLOG when I was found it. Your BLOG is makes me happy and I favorite it. 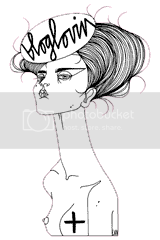 Do you like Ｊapan?Because goods by Japanese illustrater put on your BLOG. If your like Japan plese came to Japan someday! Wow! 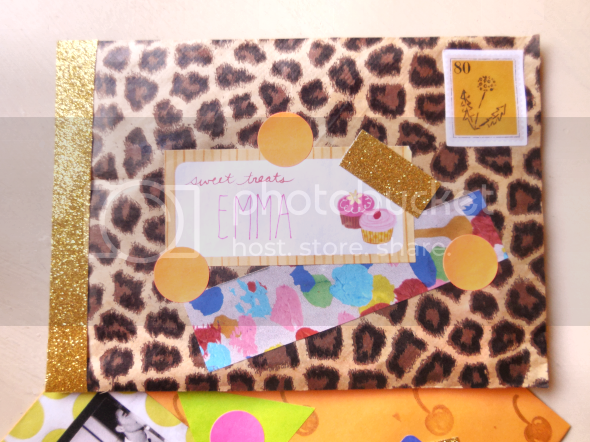 It looks like you put so much effort into your snail mail, so sweet! so happy and bright and what an awesome thrift shop score with those postcards! 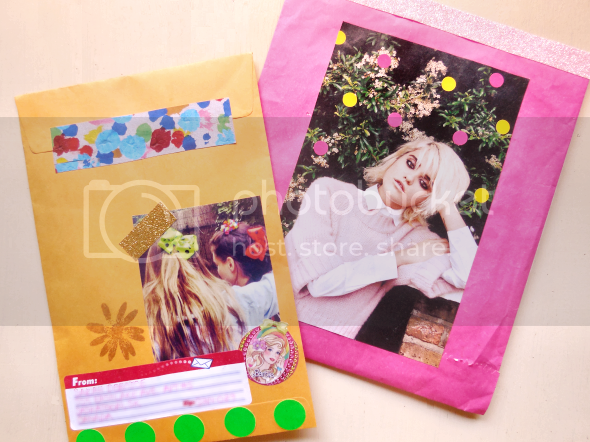 i love that you have so many pen pals, that's such a fun thing to do! i think the stamp idea is adorable (they're almost too pretty to use!) and those odd little postcards are so funny. Also, there's always that one cranky woman in the post office, isn't there? I just dont get it. All this wonderful snail mail!! Oh my gosh, so much amazingness! these are outta control WONDERFUL. teeny works of art. you are brilliant. 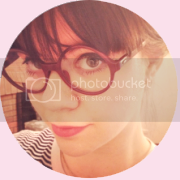 Your blog is really adorable! Why don't you visit the ♡Unicorn Sanctuary ♡ I always follow back! Oh my, these are so fun! Those people receiving those are very lucky!